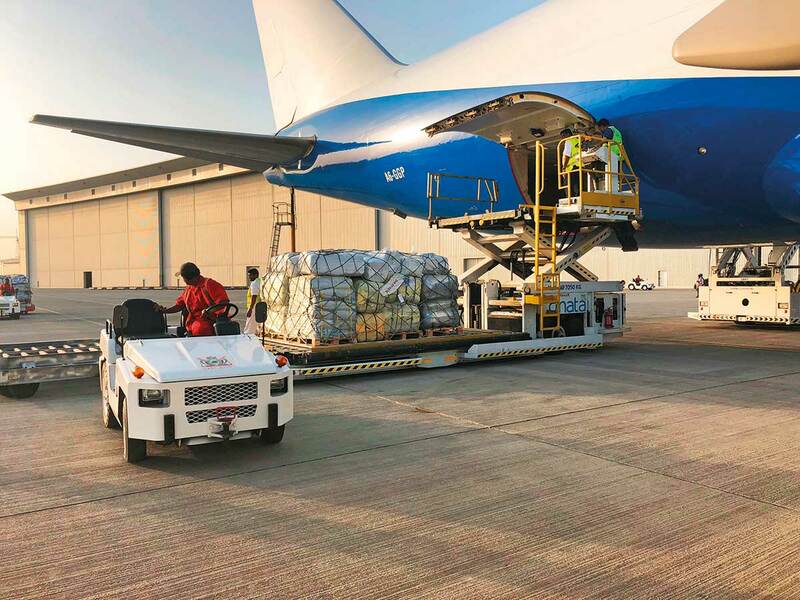 Dubai: Three additional UAE cargo flights carrying aid to victims affected by Cyclone Idai in Mozambique and other areas in East and Southern Africa, have been authorised by the International Humanitarian City (IHC), Gulf News was told on Tuesday. Following the instructions of His Highness Shaikh Mohammad Bin Rashid Al Maktoum, Vice-President and Prime Minister of the UAE and Ruler of Dubai, the IHC sent its first airlift on March 19, a couple of days after the cyclone hit Mozambique, Zimbabwe and Malawi, causing widespread destruction and loss of human lives. “Four air relief cargoes were dispatched in two days between the March 26-28 and the latest was sent on March 31,” said Giuseppe Saba, CEO of the IHC. Since March 15, the cyclone has claimed the lives of 750 people and many of the missing are feared dead. “It has severely affected the lives of 1.5 million people in Southern Africa, displacing thousands of people and leaving two of nearly three million people requiring aid,” said Giuseppe Saba, CEO of the IHC. “In the past few hours, we have been authorised to continue with the air-bridge connecting the UAE with the South Africa region and the affected countries. We are scheduling three additional flights for the coming days,” he added. On two occasions, the IHC used an aircraft made available by Shaikh Mohammad, while one airlift was donated by UAE Ministry of Foreign Affairs and International Cooperation. The airlifts are financially supported through the Emergency Fund of IHC. “The global value of the first six operations is $6 million (Dh22 million),” confirmed Saba. 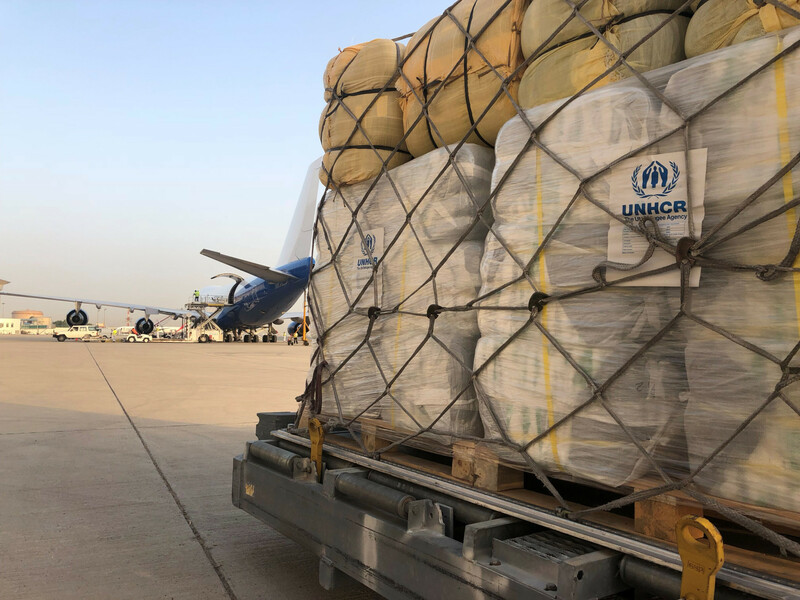 Logistics support and delivery of aid has been provided by a total of six cargo flights from the UAE transporting relief items from the stocks provided by IHC members and partners. Saba explained the aid transported included ready-to-use supplementary food to treat 15,000 children suffering from moderate acute malnutrition, as well as vehicles, jerry cans, blankets, tents, mats, mosquito nets, kitchen sets, buckets, solar lamps, tarpaulins, water purification kits, hygiene kits, generators, surgical supply kits, and medicine. 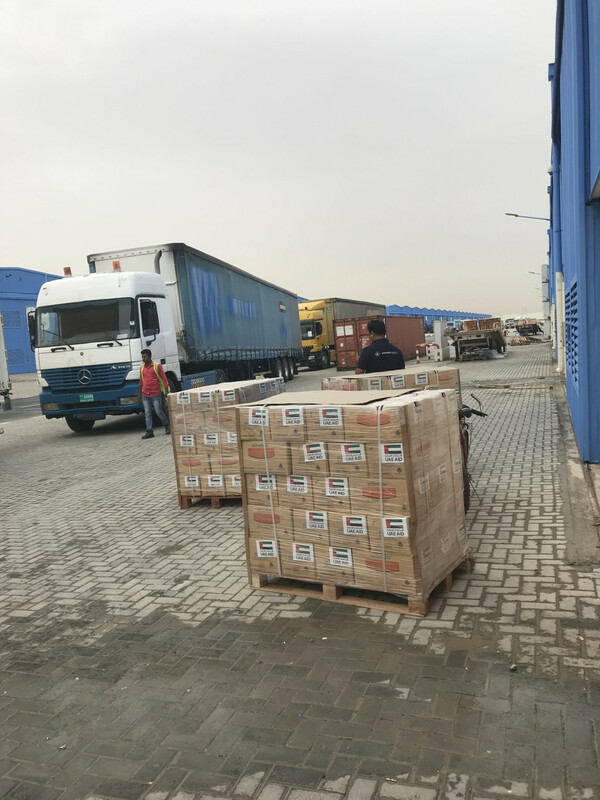 The UAE has also provided connectivity support by deploying an IHC light flyaway communications kit to Mozambique’s Beira city to provide broadcast connectivity services such as WiFi, GPS, and TV broadcast to both aid and news organisations on the ground. For the first time, IHC communication team travelled to Zimbabwe over the weekend to provide support services, and has returned on April 1, said Saba. However, accessibility to the affected areas has not been easy. “Accessing the remote areas via road is the biggest challenge logistically, obliging a massive use of air transport through helicopters, small aircraft able to land in short air-strips,” explained Saba. He pointed out that such obstacles exponentially increase the implicated costs and request more resources from the donor countries or private sector. Airport congestion is another challenge IHC has been facing. While airports are usually used for the landing of passenger aircraft, it is difficult to use them to receive and offload cargoes, especially given the fact that the handling equipment is not always available. “We have experienced important loading equipment being out of order, which blocked the handling operations for many hours,” said Saba. The lack of telecommunication services is another major challenge. “Communications is a very important tool for all the humanitarian community as they need to tell stories, reach donors and decision makers, and inform the general public of what is happening,” said Saba referring to the IHC’s deployment of the communication kit. Looking ahead, the redevelopment of entire areas could take years to complete. One example of the extent of destruction is Beira, Mozambique where round 90 per cent of the infrastructure has been destroyed. “The effects of Cyclone Idai will last for years … According to reports, the cyclone has led to a loss of more than $1 billion (Dh3.67 billion) in Mozambique, Zimbabwe, Madagascar and Malawi in terms of resources,” said Saba. He pointed out that the IHC’s emergency task force, which is composed of IHC staff and representatives of prominent humanitarian organisations, is still coordinating relief efforts emanating from Dubai. The community of IHC is now composed of around 85 members between humanitarian organisations and commercial companies, and many of them work on post-emergency and the recovery phase as long-term development. “The IHC, as always, will be supporting their efforts and offering them a platform to connect, innovate, and achieve the sustainable development goals, not only in Mozambique but across the globe,” he said.